So you're ready to take your first class at CrushCamp? Woohoo! We can't wait to meet you. But there are a few important things we want you to know, to make this an awesome experience for everyone! The most important thing to remember: Unless you are signed up for CrushCamp 101, please arrive at least 30 minutes before your class so you have time to find parking, complete your waiver, and get your orientation on the SKILLMILL. If you are not checked in 30 minutes prior to class, you may be asked to re-book for a later time, for the safety of yourself and the other Campers. Attending CrushCamp 101? 15 minutes is great, because the first 15 minutes of class will be spent learning the SKILLMILL! On the day of your first class, make sure to hydrate well - both before class and during - particularly if you are not used to high intensity training. We also recommend that you have a light carb-based snack about an hour before class (a piece of fruit, toast, or a granola bar are all great choices). Our address is 313 17 AVE SW, right across from Model Milk restaurant. We have a free parking lot with 14 spots directly behind our building, accessible from 18th Ave (it's the green building, and the signs say "Lauren Block" parking). If these are full, there is street parking available in the community, or on 17 Ave. Please plan to arrive at least 30 minutes early so you have time to find parking. When you arrive, you will be greeted by our friendly Front of House team and asked to complete a waiver. Please bring CLEAN indoor running shoes (ie don't wear them from your car - the dust is hard on our equipment), a water bottle, and a lock if you want one. We provide sweat towels for class and have dry shampoo and hair dryers to freshen up after. We do not have showers - so make sure you factor that into your plan. It would also be a great time to familiarize yourself with our studio policies. 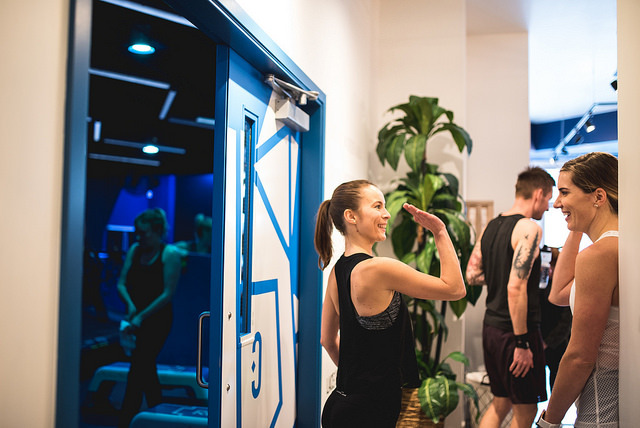 Make sure you are ready to go and in the "Blue Room" ten minutes before class begins so your Coach can conduct a private orientation with you and any other first-timers and make sure you are comfortable on the SKILLMILL before we get started. Don't worry if it feels awkward at first - we promise by the end of the class you won't even be thinking about your feet! You can get to know your Coach here. This is also a great time to tell your Coach of any injuries or limitations you have so they can help to provide modifications during the workout. Please note that if you miss the orientation you will be asked to re-schedule your first class out of safety concerns for yourself and all Campers. Your class will be 50 minutes long (except for the 45-minute Lunch and Rush Crush classes) and will involve intervals on the SKILLMILL and on the floor. Expect lots of laughs, lots of high fives, and lots of sweat. Your Coach is there to make sure you have good form and are moving safely and effectively, so flag them down if anything doesn't feel right. And most importantly, remember that this is YOUR workout. It may feel intense at first, as most things do, but you always have the option to walk it out, drop your weights, or take a modification. You can learn more about our class format here. Are you the type of person who likes to spend a little more time on technique before jumping in full-force? Cool - us too! Consider joining a CrushCamp 101 class, where we will cover the fundamental movements on both the SKILLMILL and floor. Or looking for a little less intensity? 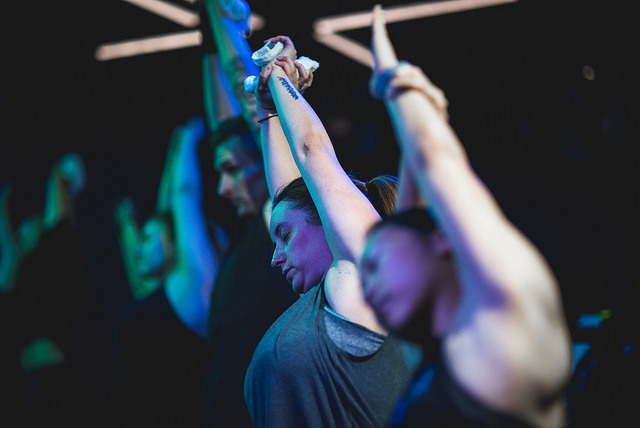 Check out Crush + Restore, which combines a 40-minute class with 20 minutes of rolling, stretching, and muscle recovery. You can view our full schedule here. Be patient and kind to yourself! Remember the goal is to crush the class - not to get crushed! And your first time trying something new will always feel awkward, so listen to your body, ask questions of your Coach, stretch and roll after, and drink ALL the water. Oh - and did we say to come early? For real. Make sure you do that! Still feeling a little uneasy? Check out Allison's recommendations for your first class on our blog.